George Bernhard Shaw was born in Dublin in 1856 and became one of the most influential men of his generation. He was an author, an orator, and a social activist. Among other causes, he supported woman’s rights before it was popular to do so. The English language was the tool of his trade. He studied phonetics and campaigned for the reform of the alphabet. He won the Nobel Prize for literature in 1925 — he accepted the honour but turned down the money. He is chiefly remembered today as an author, having penned hundreds of books, plays and articles. His most popular play during his lifetime was Pygmalion. First staged in 1914, the main character was a professor of phonetics. It eventually became a Hollywood movie, and kept on grinding out royalties on the stage and screen decade after decade with a seemingly inexhaustible staying power. We now know it as My Fair Lady. 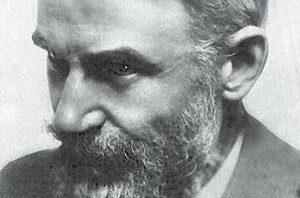 George Bernard Shaw was also the author of a unique last will and testament. He wrote it with great care and attention, and signed it in 1950 just prior to falling to his death from a ladder. He had been trimming a tree at his country home just outside of London. He was ninety-four at the time. The will left his fortune in a trust designed by Shaw in the hope it would revolutionize the English language. His money was to be used to develop and popularize a new alphabet. The new alphabet was to consist of forty or more letters, and was to replace the existing alphabet consisting of twenty- six letters. Each letter in the new alphabet would have its own sound. Gone would be “sent” and “scent” and “cent.” It would no longer be necessary to combine letters into pairs to make different sounds. The sound “th” would be represented with a single letter. Shaw’s will directed his trustees to finance a series of enquires to determine how much time could be saved by the use of a more efficient alphabet, and to quantify the economic value of the time savings in British and American currency. He wanted to prove to the world that an improved alphabet would improve the economy. If this document were written in the new alphabet, without blended letters like “th” and “sh,” it might be one or two percent shorter. With millions and millions of documents generated every day using the English language, imagine the savings in time, paper, storage space and transmission time if every one of them was two percent shorter. He also thought it would be easier and quicker for business people to learn and speak English if each letter hasits own distinct sound. Shaw was not a crackpot. He was a free thinker, and he thought big. The first problem in his plans was this. His estate had no money. Debts and other obligations left his estate without the financial resources to begin the gargantuan tasks Shaw had directed in the will. Pygmalion came to the rescue. Royalties kept on pouring in. In short order the estate had the wealth available to give effect to his wishes. The second problem was this. He mucked around and tried to draft the will himself. The first draft appeared to have been done by a legal draftsperson, but Shaw then elaborated on it with his own pen. The judge who came to read the will described it as a “literary masterpiece,” but it was legal garbage. The will was invalid. His money was eventually divided among the National Gallery of Ireland, the British Museum, and the Royal Academy of Dramatic Art, being other beneficiaries that had been mentioned in Shaw’s will. Royalties from his works have continued to pour into the coffers of those organizations ever since. There is a practical lesson here. George Bernhard Shaw should have used a lawyer to draft the final version of his will. It was technical work, and had to be done right. The danger of doing it yourself is magnified a hundred-fold when a person’s plans are ambitious or unique, or when their estate is large. A will kit might be an improvement over drafting your own will from scratch, but the kits are far from foolproof. My law firm has litigated more than one will kit fiasco. Shaw, like Alfred Nobel described in an earlier column, was penny wise and pound foolish. If he had hired a lawyer, and spent some money, his wishes for the English language might have come to fruition (and this column would be two percent shorter). Next week’s column: Strategies to reduce income taxes for heirs.